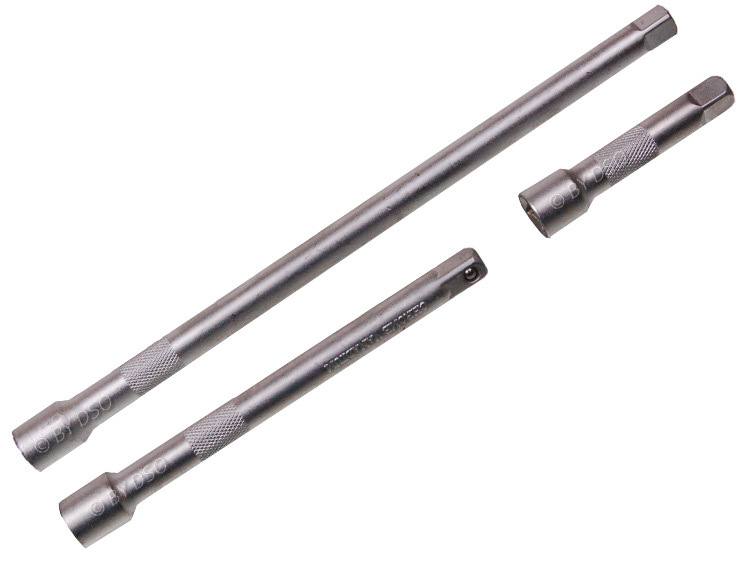 This extension bar set fits any 3/8" Drive socket wrench. You get 3, 5 and 10 inch bars, all chrome vanadium steel for long lasting performance. These extension bars also have a spring loaded ball bearing on the ends so your socket won't fall off.